Müller marketing director Lee Rolston is leaving the company after just over a year in the role, amid swingeing cuts to the dairy-product company's senior management and a shake-up of its UK business. Rolston's departure -follows the exit of Müller's UK chief executive, Gharry Eccles, in October. Eccles, a former managing director of Wrigley UK, led the UK Müller business for a little less than two years, before being replaced by Ronald Kers, chief executive of Nestle's Austrian and Slovenian operations. Rolston joined Müller in October 2010, following nearly four years as a marketer at Cadbury. He held various roles at InBev prior to this. Rolston led the relaunch of Müller's brand positioning with a major £20m campaign, unveiled last month, which featured a number of well-known animated TV characters, including Yogi Bear, the Mr Men and Wacky Races' Mutley. Combined sales of Müller's three biggest brands – Müller Corner, Müller Light and Müller Rice – are believed to be slightly down year on year. 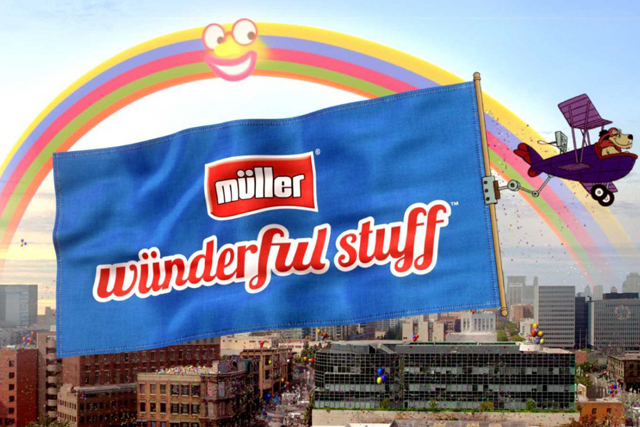 The brand's entire portfolio, including Müller Vitality and Little Stars, has annual sales of more than £400m. Sales of Müller's core port-folio are understood to have grown by single figures since the ad broke, while the rest of the category is experiencing a dip.